Nursing home abuse is unfortunately a growing problem for elderly and aging people. The following article provides answers to common questions regarding abuse and neglect that occurs in nursing homes and old age facilities. What is nursing home abuse? What is nursing home neglect? It is important to investigate any indication that a nursing home resident may not be receiving proper care. Indicators of potential danger include signs of bruising or swelling of the body, significant cuts or sores, sudden weakness or weight loss, dehydration and wearing dirty and/or inappropriate clothing. A nursing home resident who experiences mental abuse or neglect may be moody and act withdrawn, fearful or depressed. How does nursing how abuse and neglect happen? Most frequently nursing home abuses occur as a result of malpractice. Detection is low when visitors to a resident are infrequent. Family and friends are usually adept at seeing signs of decline or change in a resident and may be more vigilant than staff in making sure that problems are remedied. Nursing home abuse and neglect can occur when a facility fails to hire and maintain quality staff, which may be difficult to find. Inadequate staff training may result in appropriate care being provided to residents and is more easily spotted in specific facilities since the problem may appear among various staff members. What do I do if I suspect that nursing home abuse is happening? If you suspect that a nursing home resident is not receiving proper care, you should notify staff and the facility administrator as soon as possible. The home is required to make and document a timely investigation as well as a response, if needed. This may include an obligation for the facility to notify state agencies. You may also wish to contact the agency directly, such as adult protective services, who is responsible for investigating abuse, neglect and exploitation of adults who are elderly or have disabilities. 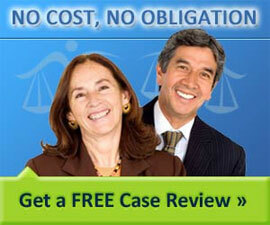 In some cases you may wish to contact a lawyer, especially if the neglect or abuse is severe. If you are considering legal action, it is best to speak to an attorney as soon as possible in order to preserve evidence pertaining to a nursing home abuse or nursing home neglect lawsuit. Typically nursing home neglect and abuse cases are handled by malpractice lawyers, personal injury lawyers and elder law attorneys.